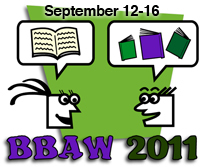 First, I have to announce that I made the long list in two niche categories for Book Bloggers Appreciation Week...Best Eclectic blog and Best Historical Fiction blog! To anyone/everyone who nominated me, thank you so much! It really means a lot. I've decided to submit my five blog post links for the Historical Fiction category since that is the primary focus of this blog now. I hope I am able to choose my best. Even if it goes no further than the long list, I am truly honored to have made it this far. I launched my new horror blog last week, Castle Macabre. If you haven't already, stop on by and visit. 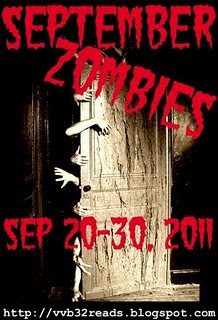 I'm hoping to showcase some great horror authors over there (and some films) and I was invited by Velvet at vvb32 Reads to take part in her September Zombies 2011 event. How cool is that?! Stephen King's IT Read-a-Long is going on right now, from August through December. It's being hosted by Serena at Savvy Verse and Wit and Anna at Diary of an Eccentric. 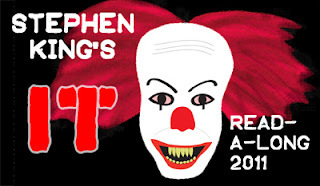 I'm participating in this via my horror blog, although I'm a bit behind...nothing new! If you would like more details and/or to sign up, go HERE. 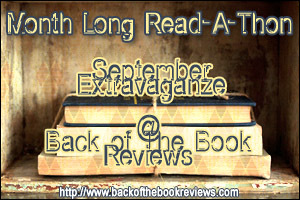 My friends Kate and Ashley at Back of the Book Reviews are hosting a month long read-a-thon and Extravaganza in September! It all will run from September 1-30. 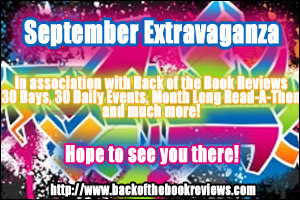 The Extravaganza is in celebration of their awesome first six months of blogging and will have daily interviews, guest posts and giveaways, and a grand prize competition and the read-a-thon is just for fun. Wow! A month long read-a-thon...I'm totally up for that. 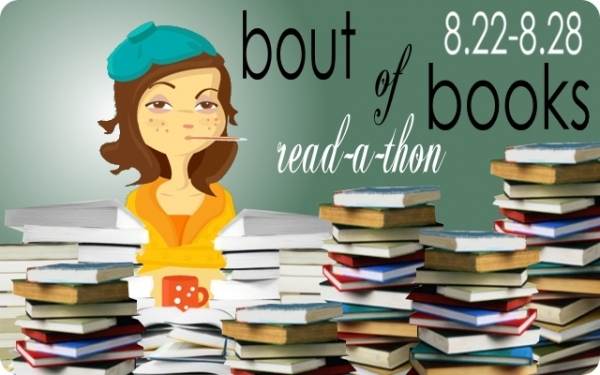 =O) For all the details and to sign-up for the read-a-thon, visit their blog HERE. Extravaganza schedule HERE. Yesterday I read ONE ENTIRE BOOK! Major accomplishment for me during a read-a-thon. It was Ordeal by Innocence by Agatha Christie and I enjoyed it immensely. Today I'll be reading about 1 1/2 sections of Captivity by Deborah Noyes for TuesBookTalk. Next will be The Summoner and The Egyptian by Layton Green. A Wilkie Collins book, that is excitng. Congrats to you on making the long lists. I'm sure you will make it to the short as well. I need to put her blog on my blog roll, going to do that as soon as I'm done typing. 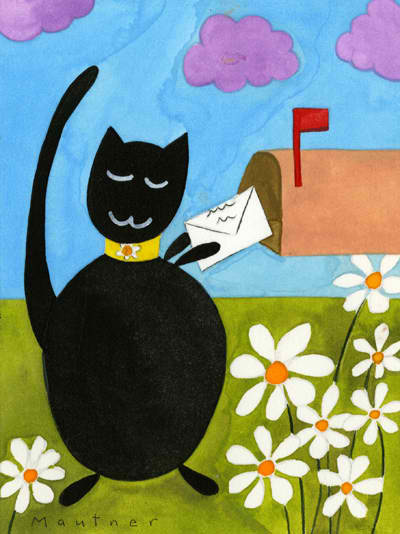 Wow, what a mailbox! Don't you just love library sales? Enjoy all your new books. Love all those goodies you received in your mailbox!!! Congrats on making the long list!